If you’re planning a holiday in Soufriere with your friends or family, and intimacy and supreme relaxation are what you’re after, then visiting Sapphire Falls & Jungle Spa is a must. Located at approximately two and a half miles south of Soufriere’s center, Sapphire Falls & Jungle Spa promises to offer an out of the box and soothing way of experiencing the natural rainforest, sulfur springs, mud baths, warm mineral pools, as well as a beautiful waterfall. Your stay will be hosted by the very friendly Jahrod Alcindor, which is the brainchild of the whole experience. He will also be your tour guide through a scenic, low-to-medium difficulty trek towards the beautiful waterfall. The hike usually takes somewhere between 15 and 45 minutes, and, in spite of a few areas with significant grades, it’s achievable even by the elderly. 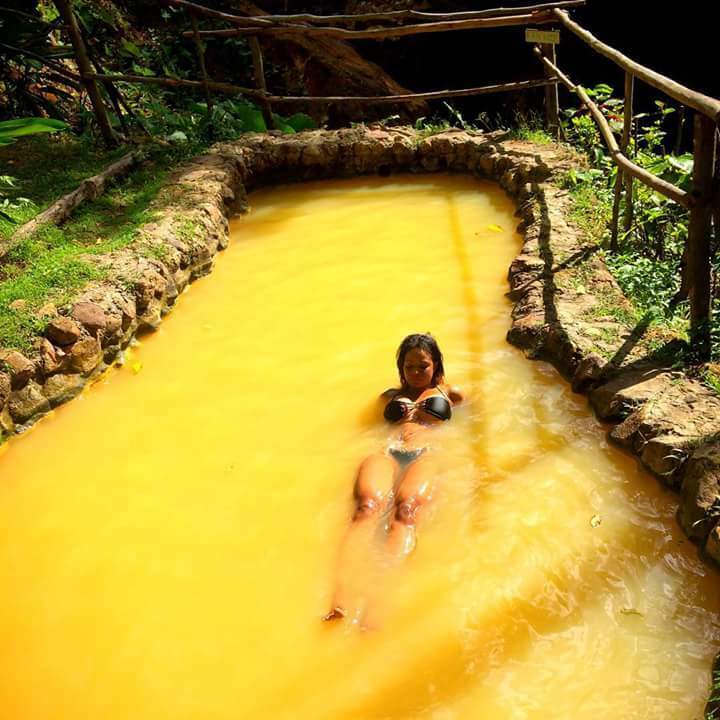 Along the way, the knowledgeable Jahrod will teach you everything there is to know about this tropical paradise, from the various types of plants and their medical uses, to the geology and history behind the sulfur springs. 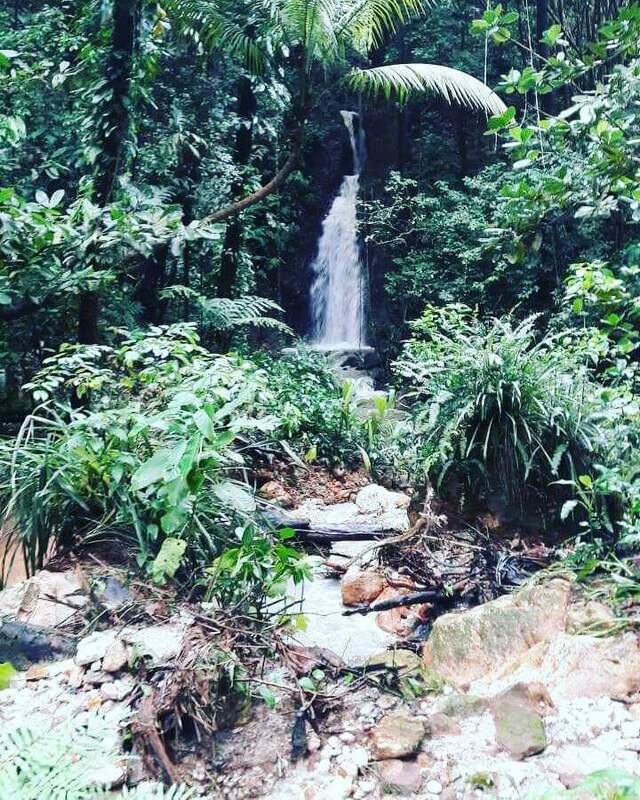 At the end of the hike, you will arrive at the secluded and crystalline waterfall where you will be in for a very tranquil time. Nature lovers are sure to appreciate this naturally beautiful spot which includes a mud bath, handmade mineral spring pool, the waterfall itself, a minimalist changing room, and a bathroom. 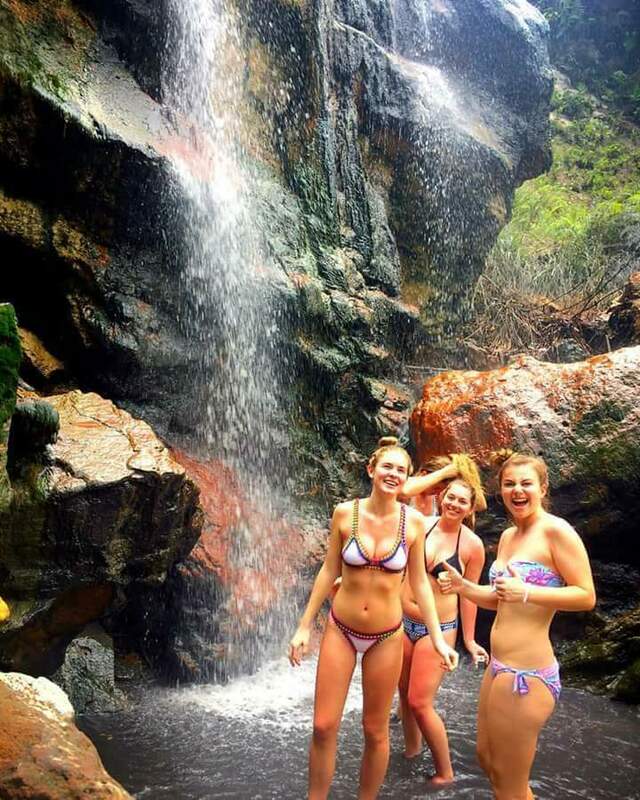 This is definitely the place to be if you want to enjoy the beneficial effects of mud on your body, a relaxing mineral bath, and an invigorating and warm waterfall shower. You can also enjoy full body clay masks which makes any skin feel amazing, as well as other types of massage and jungle spa treatments. The Sapphire Falls is considered one of the most beautiful natural wonders of St. Lucia and the Sapphire Falls & Jungle Spa only further strengthens this idea. Its aim is to help you relax and eliminate stress by allowing you to experience an enthralling and peaceful retreat from the outside world. Finally, whether you’re visiting Sapphire Falls & Jungle Spa for the walk through the jungle with Jahrod, for the rejuvenating and healing effects of the mud baths, for the detoxifying mineral baths, or just for the natural massage of the pulsating waterfall, the experience is sure to be an enjoyable and memorable one. Arrangements can only be made via Appointment only. Such a spectacular place to hike and visit the waterfall and mud bath !! Had a wonderful time chilling and relaxing in such a picturesque place ! Jahrod is an awesome tour guide ! Surely will be bk for more of this great adventure !! Great place to visit for a hike, soak and mud bath. You will enjoy it! Jahrod and his brother John will treat you like family. Visited you guys recently and gosh getting there was a work out but there were so many things to see and the tour guide made it didn’t seem that bad by educating us on the estate… The bath was totally worth it would come back any time and would not hesitate to refer sapphire water falls and spa to anyone…Thanks again for having us jarod..
Great place to spend the day with family/friends. there’s all kinds of fruit trees that you can sample and the waterfall is sooooo amazing, if you go there on a good day you can feel the relaxing warm sulphur water from the waterfall or the amazing soothing water from the Copper pool. One of the nicer waterfalls I’ve been to. The walk in was lovely and the pools were awesome. Jahrod is awesome too!